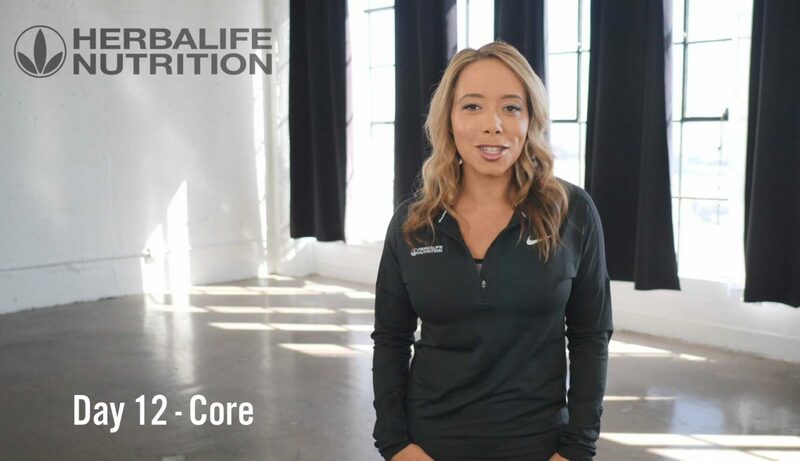 WELCOME back to day 12 of the Herbalife Nutrition 21 Day Challenge with Samantha Clayton! Are you ready for Week 2 Core day? The powerhouse of the body, the Core, is key for great posture. Today’s workout is all about strengthening the centre of the body. If you are on a different day, click here for 21 Day Challenge videos with Samantha Clayton. There are two types of fitness levels that the 21 Day Challenge with Samantha Clayton accommodates. Beginner, and Fit to Fitter. Which category are you following today? Are you ready? Mark Colonel takes you through a warm up, preparing you for Samantha Clayton’s Core workout. Get ahead of the game! Repeat the Beginner workout a few times to get your 30 minutes of workout done for the day. 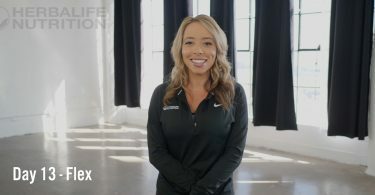 As the Fit to Fitter workout is meant for the regular exercise goer, this time Samantha Clayton takes you through a warm up, before a Core power training session with Anca Bucur and her team. For guidance on the right nutrition to support your workout, get in touch with a Herbalife Nutrition Independent Member by clicking here. Olympic Bronze Medal gymnast and Herbalife Nutrition Ambassador Nile Wilson has also created his own version of the 21 day Challenge. Check out the challenge here! Don’t forget to come back for day 13 of the Herbalife Nutrition 21 Day Challenge with Samantha Clayton. Remember to work at your own pace and see you tomorrow for Flex day!